You might have heard that dwell time is a super important metric for your website. It is believed to have a direct result on your search ranking. Dwell time is basically how long people spend on your site, and Google sees this is a ranking factor. I’ve done the legwork and found out exactly how dwell time works and how to beef it up. I’ve got a bunch of super actionable tips below. 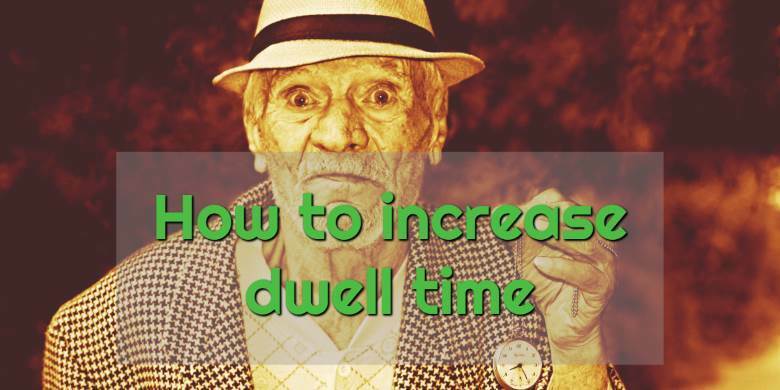 So let’s dive in and find out how to increase dwell time. Dwell time is the amount of time someone spends on your website after visiting it from a SERP (Search Engine Results Page). It is not the time someone spends on a particular page – that is a Google Analytics metric called Time on Page. So say someone clicks on your website link in the SERPs, spends two minutes on that page, then clicks on an internal link and spends three minutes on that page, then goes back to the SERP. They have a dwell time of five minutes, with a Time on Page of two minutes and three minutes for those two pages respectively. Note that dwell time is not actually shown in Google Analytics, and Google has never officially confirmed that it is a ranking factor. But it’s not as simple as that. So why is dwell time important? Google has never formally declared it as a ranking factor, but nearly everyone in the SEO community believes it is. The RankBrain sytsem is becoming an increasingly important part of Google’s ranking algorithm, and it measures “behavioural” factors such as how often people click on a result and what they do on the page. And there’s another thing. Actions that will improve dwell time will increase Time on Page and decrease bounce rate, and both of those things are SEO ranking factors. This video explains it in a bit more detail. So you definitely want to increase your dwell time. Now let’s get to the juicy parts. So now we know what dwell time is and why we should care about it. Let’s find how to improve it. A great introduction that hooks people in is going to make people want to stick around and read more of your content. So put a bit of effort into it, and make sure it engages people. Brian Dean from Backlinko came up with a nifty model he calls “Agree Promise Preview”. What does that mean? You start off by agreeing or confirming something that people are wondering. Then promise that you will help them with this problem, and preview how you are going to do that. Notice that I did this in the introduction of this article: “You might have heard that…” was an agreement. “I’ve done the legwork and found…” is a promise. “I’ve got a bunch of super…” is the preview. So try using the APP model in your article introductions. You should see bounce rate go down and Time on Page go up, which is exactly what we want to see. If you write juicy powerful content, you will make people want to take the time to read your whole article (which improves Time on Page and Dwell Time), and read more articles, which improves Dwell Time. Just make sure you have internal links to allow people to read more content! If your articles are 400 words long, then your Dwell Time is going to be terrible because people simply cannot spend more than a minute reading each one. Because they’ll be finished too quickly. So try to write longer articles that are at least 1000 words, if not 1500. I aim for 1500 to 2000 words for my articles. While you want your articles to be long and full of powerful content, you want to write in a light and easy way. Use short sentences and short paragraphs. Use shorter words, with less jargon and fewer acronyms. Someone once said “you don’t want your article to feel like a 1000 word article that someone has managed to pad out to 2000 words, you want it to feel like a 3000 word article that someone has managed to slim down to 2000 words”. Powerful advice. People come to your website from search results because they are looking for an answer to a question. Always. That is why people use search engines! So what does this mean? It means you should look at what keywords your articles are ranking for, and make sure they answer the question that lies behind that search. Also make sure that the Meta Description for your article suggests that you will answer their question, and that it is congruent with your content. If your article is called “White hat SEO tips” and your meta description says “how to boost your search ranking and stay in Google’s good books”, and when people arrive the content is all about grey and black hat stuff like link wheeling and PBNs, your readers will leave fast. It’s important to keep your content fresh and up-to-date. If your article is called “latest social media strategies”, and people go there and it is dated 2009 and begins with “Why MySpace is the place to be!”, people are going to get the hell out of there right away. But there’s more. Google likes fresh content too. Every now and then you should beef up and change old content. Make sure to update the Published Date in WordPress too – Google likes this (though don’t try to trick it by just changing the date but leaving the content as is). Nobody likes to see walls of text, and nobody likes to read them either. People will think “too hard!” and leave quick smart if they see that. So how do you solve this? Simple – break up the walls. Put in regular headings and subheadings. I start off every article with my H2s and a few H3s, before I’ve written any paragraphs. And I usually add a few H3s as I go. But that’s not all. Pictures, diagrams and videos are great to break up text as well. And they’ll help with SEO. If they are appropriate, tables work as well – and if you are really lucky, they might get nabbed by Google and turned into a Featured Snippet, aka Position Zero (I’ll write an article on this soon). Videos are good not only for breaking up big blocks of text, but for another sneaky reason. Want to know what it is? Well, people like watching videos. And people can spend a long time watching videos, without reading your text. So if you have an article that takes four minutes to read, and you embed a five minute video in it, then the Time on Page could go up to nine minutes. And it gets better. If you manage to get someone to visit another page and do the same thing, your dwell time is going to start going through the roof. Not everyone is going to do this, but remember, it’s about the law of averages. If nine out of ten people spend five minutes on your site but the tenth spends 20 minutes, your average is 6.5, which is huge. So grab some videos and embed them! Like I did in this post. Almost everything on Youtube is publicly free to embed wherever you like, so grab the embed video code for something that is relevant, and drop it in. This strange-sounding term is an old-school copywriting technique. Basically, you want people to keep getting bounced from paragraph to paragraph, never falling through the cracks. A bit like a line of people passing along a bucket of water. That’s where the name came from. But how do you do this? The trick is to end paragraphs with a short sentence that invokes anticipation or curiosity. See how the last paragraph ended with “but how do you do this”? Short statements or questions like “But there’s more”, “It gets better”, “want to know why?” and so on are perfect for this technique. Just make sure not to overdo it – not every paragraph, but maybe every three or four. Have a look through this article and see how many you can find. This one is totally mandatory. If your website doesn’t work on a mobile device, your readers will hate it and Google will hate it too. They’ve been pushing this point for a while, but recently it got a hell of a lot worse. They did an algorithm update dubbed “Mobilegeddon”, with huge penalties for non-responsive sites. And if that wasn’t bad enough, people who can’t read your content will get the hell out of there anyway. So what can you do? It’s simple! 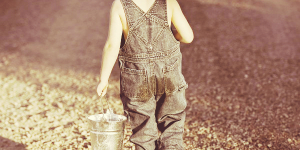 (And did you notice that bucket brigade I did there?). Just go to the Google Mobile Test site and put in your URL. It will tell you if your site is ok, and if it’s not, what you can do about it. My website gets a green thumbs up – hooray! Performance is a big one too. A slow website doesn’t mean people spend more time there waiting for things to load, it means they spend hardly any time because if nothing is there after five seconds, they’ll leave right away. The Google Pagespeed Test is a good place to start. It will check for basic best practices and give you scores for desktop and mobile. But it doesn’t actually tell you that much. GTMetrix will give you much more detailed information. Chrome Developer Tools has a nifty Audit feature now too, though you might need to be a webmaster or developer to use it well. Popups and lightboxes are all the rage, but I’m using them less and less. Readers don’t like them (and Google doesn’t either – they have confirmed that they are a ranking signal, and not at all a good one). They are particularly disruptive on mobile (and sometimes hard to dismiss, which drives me completely crazy and I’m sure it does to other people too). What’s the answer? Don’t use them! I put email opt-in forms either in my content or in sidebars. Widgets in the sidebar don’t really get shown on mobile but I can live with that. User experience is very important and I am happy to lose a percentage point or two on my opt-in rates in return for people liking my site and Google liking my stats. Internal links aren’t important for Time on Page but they are very important for Dwell Time. 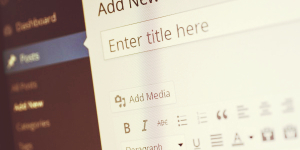 You want people to move around through your site and engage with more of your content. The more they read, the more they will grow to trust and like you (if you write good content, of course). And guess what? Internal links are the best way of keeping people on your site. They are important for structuring your site and letting Google know about which pages you want to show up in the SERPS. So make sure to throw in a few internal links on every article you publish. And every now and then, do a link audit, and add relevant links to content that didn’t exist when you published the original page. Not sure what I mean? For example, a few paragraphs ago I mentioned Featured Snippets. These are a hugely powerful way of sneaking right up to the top of the Google SERPs (even above position 1 – which is why a Featured Snippet spot is sometimes called being at “position zero”). I haven’t written an article on Featured Snippets yet – but now I’ve mentioned them, I want to, and probably will in a week or so from now (at the time of initially publishing this article you’re reading now). When I write the Featured Snippet article, I will put in a few internal links, like I always do. But I’ll also go and edit some other related articles like this one, and include a link to that page. Neat huh! There are some WordPress plugins that do this automatically. You put in some terms and matching pages, and it inserts internal links to those pages wherever it finds the terms. See how powerful dwell time is? I hope you found this article helpful and got some useful tips – if you did, or you have any questions, drop me a line in the comments below!